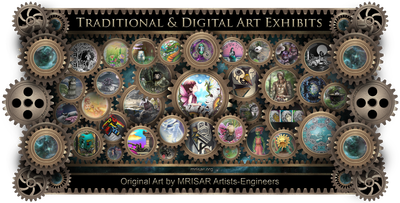 MRISAR - MRISAR; International Robotics, Science & Art Exhibit Sales & Rentals. 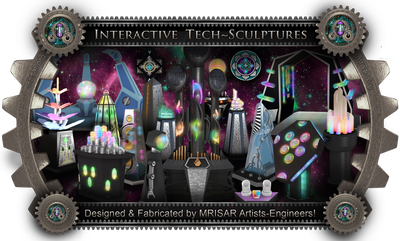 At MRISAR we merge Technology with Art to create unique interactive exhibits! We have Designed, Fabricated and Marketed the Earth’s Largest Selection of "Internationally Renowned and Awarded" World-Class Robotics Exhibits and Devices; and “Hands On” Scientific, Technological and Interactive Art Exhibits for ​World-Class; Science Centers, Technology Centers, Art Centers, Children Museums, History Museums, Science Museums, Universities, NASA, Royalty, Foreign and Domestic Governments and Film Industries. ​We have more than 37 years of providing world class exhibit technologies, educational demonstrations, classes and museum management. 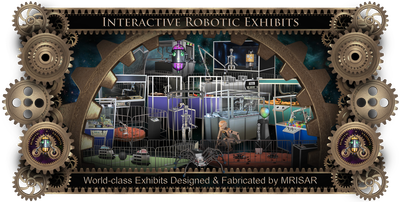 We also design, fabricate and sell Robotic Exhibit Component Kits! 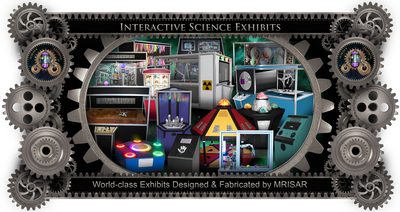 Our Robotic Kits have been purchased by NASA, Carnegie Science Center's Roboworld, other World-class museums, foreign governments, etc and for use in many traveling exhibitions like "Popnology", "Robots; the Interactive Exhibition" and "Alien Worlds and Androids"! Order just the components and specifications from us and build your own case. We supply complete technical support. Our kits are just as durable and easy to maintain as our complete exhibits. They are often purchased to be included in traveling exhibitions which require outstanding durability to be able to hold up to both public use and the rigors of road travel. We have Reasonable Purchase and Rental Options, Consultation, and the Best Warranty & Durability in the Industry. Plus Easy Low Maintenance, combined with the Highest Quality of craftsmanship in the industry! Our Customers include World-Class Science Centers, Museums, Universities, NASA, Royalty, Foreign & Domestic Governments, the Film Industries for inclusion in media productions, etc. Our Graphic Arts Division provides services for educational, professional, marketing & entertainment. 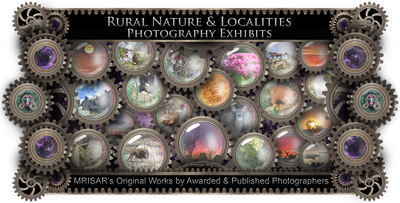 Purchase from our standard selection or have us create a custom exhibit! MRISAR is a Family Owned & Operated Business that was created in 1993, to achieve philanthropic goals as the main priority. Our goals are to develop beneficial Humanitarian & Environmentally based technologies and programs. Our product line is a result of the incorporation of some of our R&D technologies. 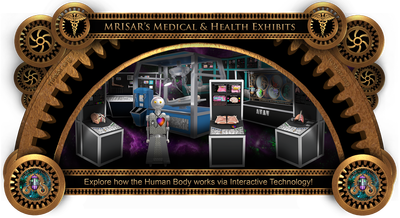 Exhibit purchases help to fund our Philanthropic R&D Projects & Programs. We welcome the opportunity to create custom presentations for your consideration. If you do not see the exhibit you are looking for, please put us to the test by giving us a general description and we will contact you as soon as possible with a design proposal. We look forward to the opportunity of assisting you! Click here for details about our Workmanship Quality! Click here for our sale and rental terms!